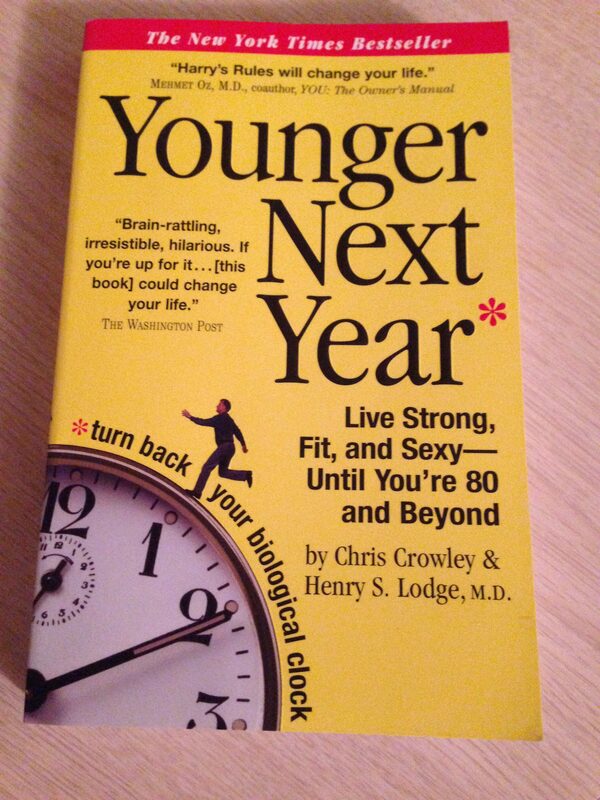 This month I re-read Younger Next Year, a book by Harry S. Lodge, M.D., and Chris Crowley. I chose this month to post on it to honor the one-year anniversary of Dr. Lodge’s death from prostate cancer in March, 2017. First published in 2004, the book has sold millions of copies and is a true senior fitness, lifestyle and healthful aging classic – and it has a special significance for me since I’m a senior fitness specialist in his 60s who also happens to be a very lucky prostate cancer survivor. Younger Next Year (YNY) is an easy to read guidebook for aging which lays out the social, biological and evolutionary rationale for seven “Harry’s Rules” – and the practical how-to advice to incorporate each rule into your life. Lodge and Crowley also produced a book especially for women called Younger Next Year for Women; a Younger Next Year Journal; and with the help of physical therapist Bill Fabrocini, Younger Next Year: The Exercise Program, which you should consider an essential companion volume to be read sequentially with the original YNY. Dr. Lodge was an internist specializing in gerontology (aging medicine) who saw too many of his patients develop largely preventable degenerative “lifestyle” diseases – cancer, heart & circulatory diseases, diabetes, obesity – as well as symptoms of physical deterioration like arthritis, falls and bone fractures. To reach a larger audience with his preventative wisdom and advice, he wrote YNY with his patient Mr. Crowley. Although published 14 years ago, YNY still has much relevance today. If you’re over-50, I would highly recommend reading it. If you’re retirement age or older, I consider it mandatory reading along with YNY: The Exercise Program. What makes YNY innovative and groundbreaking is this key point: our body only understands the signals we send it, and our modern lifestyle/habits mostly send signals that cause the body to decay and deteriorate. This “decay” is a separate occurrence from the actual effects of chronological aging, which makes it an optional and potentially preventable outcome – but only if we can send better signals which stimulate growth, repair and regeneration. The main theme of YNY is outlining what constitutes better signals – and how we code them in a way the body understands – to promote growth, renewal and optimal function rather than decay. These growth signals are grounded in the biology and sociology of evolution as well as modern discoveries in cell physiology. Dr. Lodge explains that, due to our evolutionary history, our “Darwinian body” can operate well only if we follow “predictable rules” that follow our “original design parameters”. He lays out “natural laws” – Harry’s Rules – we must incorporate into our lives to promote growth/renewal and stem the tide of decay as we age. · Exercise six days a week for the rest of your life. · Do serious aerobic exercise four days a week for the rest of your life. 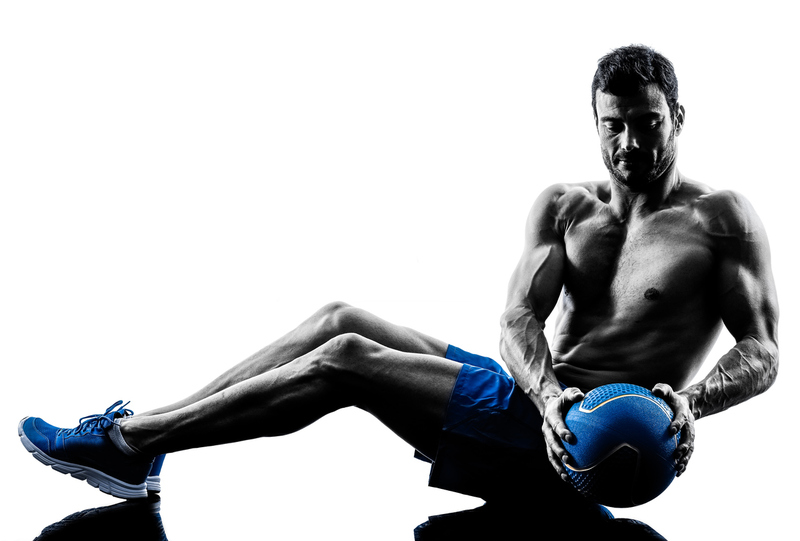 · Do serious strength training, with weights, two days a week for the rest of your life. · Spend less than you make. YNY offers alternating chapters authored separately by Dr. Lodge and Mr. Crowley. The basic science is wonderfully explained by Dr. Lodge; practical advice is offered by both authors; and Mr. Crowley, in a folksy manner, entertainingly describes the on-the-ground experience of living Harry’s Rules. One of Mr. Crowley’s best contributions is to point out that, as we age, many of us (especially men) tend to live an “old” life – sedentary habits; careless nutrition; disregard for the “emotional structure of your life”; disengagement; disconnection; lack of play – but by following Harry’s Rules, you live a “young life as you get old by being strong, fit, mentally and sexually active and emotionally involved”. YNY is a classic; but of course not perfect or completely current. Some shortcomings are addressed in the much newer volume YNY: The Exercise Program (2015), so that’s why I highly recommend you consider the two books a “package deal” and read them sequentially – and also why I will cover YNY: The Exercise Program in next month’s post. Both books advocate the use of heart rate monitors during aerobic exercise to keep track of your intensity. I have always been ambivalent about using heart rate monitors for an aging, non-competitive-sport population for several reasons. First, keeping track of intensity via heart rate (HR) is always based on some estimate of maximum heart rate (EMHR), since measuring actual MHR is difficult and rarely done. The big problem is there are no accurate methods to determine EMHR – all the equations have too much variability – so it turns into a form of garbage in, garbage out. YNY: The Exercise Program at least recommends using a more modern formula to determine EMHR, but I don’t see that as much of an improvement. If you are interested in digging into the issue of EMHR, see here and here. Second, perceived exertion (how hard you sense you are working) probably works just as well as HR for an aging population – if you are interested just Google “perceived exertion scale”. Third, the challenge for most people is the consistency – getting it done day in and day out – so that’s the issue you should focus on first and foremost, not intensity. It’s the consistency of aerobic exercise performed day in and day out over years that brings the circulation, health and youthful benefits, not so much high intensity, which is the icing on the cake – and actually Dr. Lodge and Mr. Crowley do made this point in their books numerous times. Both books advocate employing a fitness trainer to learn how to perform resistance exercise safely and effectively. However, YNY doesn’t address how to choose a trainer you can safely put your trust in. YNY: The Exercise Program does briefly address this issue, but in my opinion does a poor job. 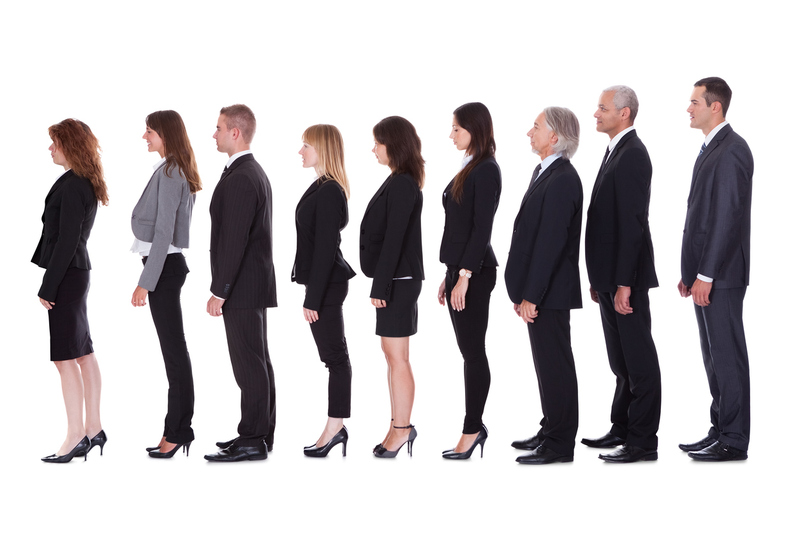 This is 2018 – the days of having to hire a “muscle head” should be long gone. Your trainer should be a true exercise professional, with an appropriate professional education and qualifications – at least a bachelor’s degree in exercise science and a current certification from a national organization that administers tests in a proctored format and doesn’t allow open-book examinations. The National Strength and Conditioning Association (NSCA) is one such organization. I also recommend you DO NOT “ask your gym what trainers they recommend” as YNY: The Exercise Program suggests. First, there is the issue of who you ask and what qualifies them to know who is a good or bad trainer? Second, many if not most gyms tend to hire less educated, less qualified and less experienced trainers because they can pay them less. The most appropriate person to ask for a fitness trainer recommendation would be a physical therapist. As noted above, both YNY books recommend you hire a fitness trainer to help you learn how to train with weights, but as a senior, there should be a couple of steps before you pick up a dumbbell. Your body has had years to develop injuries, side-to-side asymmetries, joint & tissue restrictions, and other health issues. It’s in your best interest for a trainer to first get to know your body really well with an initial health & injury history and a functional evaluation (how your body and joints move). From there a modern trainer dealing with a senior population should be able to help you move better by implementing a corrective exercise program before advancing to resistance (weight) training. If your body can’t move well by itself without extra resistance, you shouldn’t add weights until you can move better or it’s a recipe for injury. See my home page for my three-step senior fitness training process as an example. Also, if you choose a trainer who is Functional Movement Screen certified you can be sure they have a corrective exercise mind set. Many of my senior clients have significant joint and tissue mobility issues that restrict them from moving well and which also increase stress and wear & tear on joints and tissues. 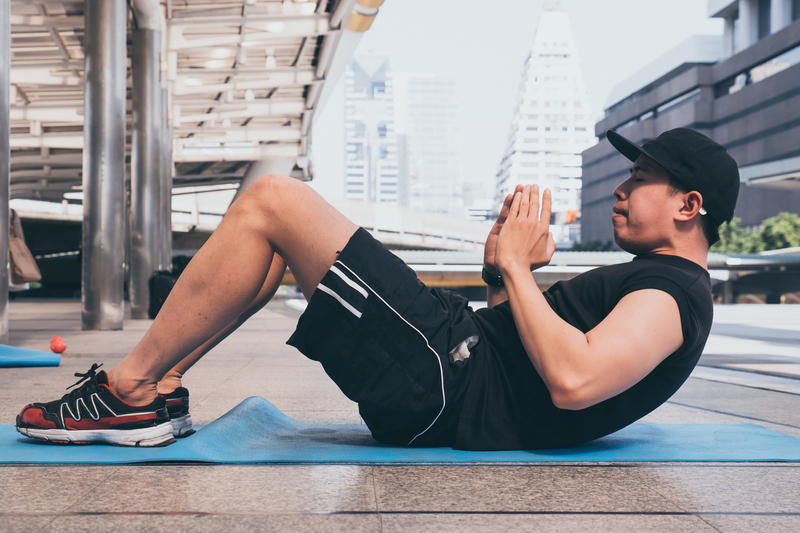 Addressing these joint and tissue restrictions can and should be a large component of an initial corrective exercise program and could also require continued on-going attention. In my opinion this issue is addressed inadequately in YNY: The Exercise Program and not at all in YNY. It may be overkill, but if you’re interested in joint and tissue mobility techniques and methods pick up a copy of physical therapist Kelly Starrett’s excellent book Becoming a Supple Leopard.